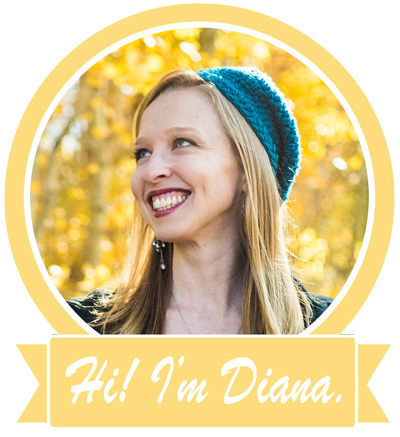 Last month we published a post series to introduce you to packing containers. Now let’s talk about which combination is best for you. 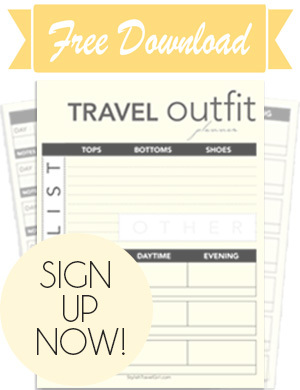 Here we’ve put together several combinations, catered to 5 common female shopping needs and strategies, plus a suggestion for those buying as a gift! Read on to discover your perfect packing cube match. Give me the best reviewed. If you’re a chronic researcher when it comes to buying decisions, then consider your work done. 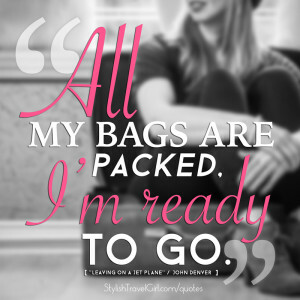 When it comes to packing your clothes, it’s an easy choice. 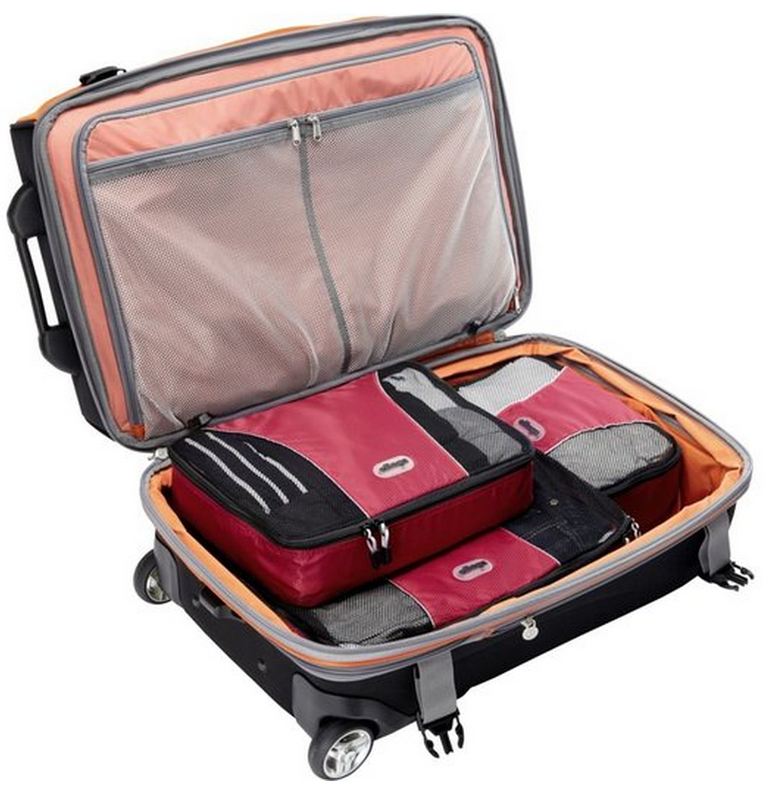 With a 5-star average from over a thousand reviewers, the eBags 3-piece set is the most popular of packing cubes available on Amazon. 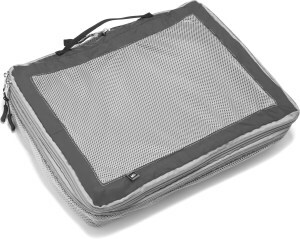 For toiletries you’ll want the Eagle Creek Pack-It Specter Quick Trip Toiletry Organizer (5 stars on REI.com). And for accessories, take your pick of either the LeSportsac 3-Zip Cosmetic Case (5 stars on Zappos) or eBags Padded Pouches (4.5 stars on Amazon), but the eBags padded pouches will work for both jewelry AND electronics. It’s the Eagle Creek Pack-It Shoe Sac (5 stars) for shoes. If affordability is your key driver, you’ve still got plenty of good options. 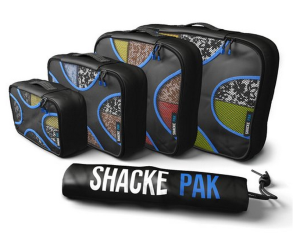 This Shacke Pak set includes 4 packing containers plus a laundry bag for a current price of $26.99. 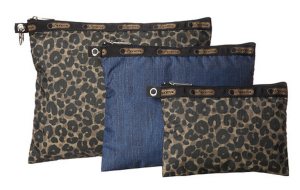 Stow your jewelry and small electronics in the padded pouches by eBags (currently $19.99/3-pc set). For your toiletries, stay simple with the Eagle Creek Small Pack-It Sac ($8.50) combined with a Ziploc for extra leak protection, and save money on shoe containers by using shower caps (less than $1 each on Amazon, or repurpose those complimentary hotel caps). If you pack the way I used to — for every ‘what if’ or ‘just in case’ situation you can fathom — then you’ll likely want to start with some compression packing cubes. These feature a wrap-around zipper to save some space in your suitcase. Start with the Eagle Creek Specter Compression Packing Cube Set and/or the REI Large Expandable Packing Cube for packing your clothes. You might also consider adding a garment folder to the mix (buy it as a set), for your wrinkle-prone items. Eagle Creek’s Pack-It Wallaby should keep your toiletries organized, and the Mele Giana Plush Fabric Jewelry Box will hold plenty of jewelry in a reasonably sized travel-friendly container. Order some eBags Padded Pouches to protect your electronics, and take four pairs of shoes with FashionBoutique Waterproof Nylon Shoe Bags. I want the best-looking option! The best color options come from Eagle Creek. Magenta, orange, lime green, light blue and white… I can’t decide which color I like best because I really like them all. Begin with an EC Specter Set — either with or without a garment folder — for a colorful option that’ll get you excited about packing. If you need a padded electronic case, grab the matching Eagle Creek Pack-It Specter E-Cube from REI. Choose the Eagle Creek Pack-It Shoe Sac for shoes; it’s got the sleekest look and will match the black Mele Giana Plush Fabric Jewelry Box and LeSportsac 3-Zip Cosmetic Case. If you’re not sure if this whole packing cube thing is for you, then buy from a company that’s known for its customer service. Order from Zappos if you want the easiest and cheapest return option (shipping is free both ways). 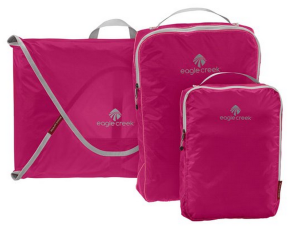 For the best combination of packing cubes and containers on Zappos, I recommend the Eagle Creek Pack-It! Specter Starter Set for clothes packing, the Eagle Creek Pack-It Wallaby for toiletries, the Eagle Creek Pack-It Shoe Sac for shoes, and the LeSportsac Luggage 3-pc Travel Set and/or any Mele Travel Jewelry Box for cosmetics and small accessories. A 2 or 3 piece packing cube set makes a nice gift for any traveler. Try the Specter Pack-It Starter Set by Eagle Creek. With a garment folder included in the 3-piece set, it’s got the best variety and will suit any female traveling for business or pleasure. Don’t see a combination that fits your needs? Let us know in the comments, and we’ll recommend one that’ll work for you. View more packing cube and container options in Intro to Packing Containers: Organize Your Carry-On in 4 Steps!